Noisy gear trains have been a common problem for gear designers for a long time. 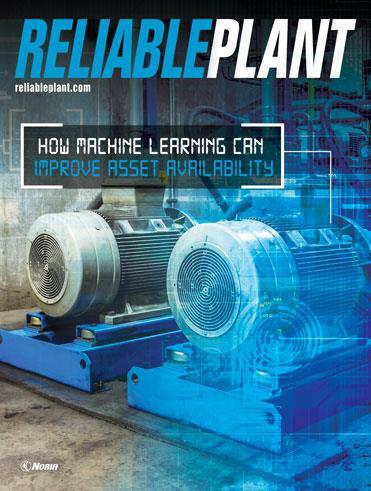 With the demands for smaller gearboxes transmitting more power at higher rpm and incumbent demands for greater efficiency, gear engineers are always searching for new ways to reduce vibration and limit noise, without increasing costs. 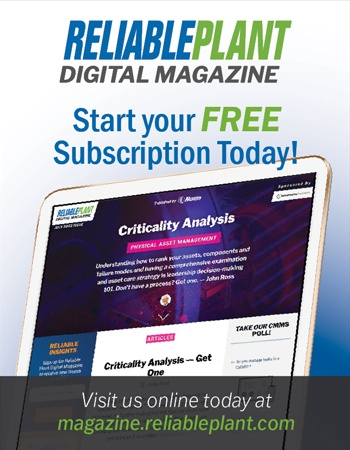 Some popular solutions to the noisy gear problem include enlarging the pinion to reduce undercut; using Phenolic, Delrin or other noise-absorbing products, where possible; or changing to a helical gear train. Other methods include tightening specifications to insure greater gear quality or redesigning the acoustical absorption characteristics of the gearbox. Occasionally, experimentation with gear ratios can limit harmonic frequency amplification, which otherwise can cause a gearbox to amplify noise like a finely tuned stereo system. The engineer can also study material and hardness requirements, so that modifications may be made to minimize heat treatment distortion or possibly eliminate the need for heat treatment entirely. Particular attention also must be paid to gear geometry to insure maximum contact. Another approach to the gear noise problem that yields good results is crowning or barreling of the teeth. This technique involves changing the chordal thickness of the tooth along its axis. This modification eliminates end bearing by offering a contact bearing in the center of the gear. A second benefit of the crowning approach to gear cutting is the minimization of misalignment problems, caused by inaccurate machining of the casting, housing, shafting, gearboxes or bearing journals. Crowning also can reduce lead problems in the gears themselves, which causes the gears to wear unevenly and bind because of eccentricities and position errors. Obviously, a gear with a center contact is less affected by discrepant manufacturing or design; furthermore, you can reduce the backlash requirements and allow the gears to wear in rather than wear out. Shaving is a secondary gear finishing operation done after rough hobbing or shaping to create the desired crown. Crown shaving has long been a popular method, especially in manufacturing coarse pitch gears. With the recent evolution of gear equipment capable of crowning while cutting, the need for shaving just to achieve a crown has been eliminated. Two variations of the crown shaving method will produce a gear to compensate for off-lead or misalignment conditions. One approach produces a crown by rocking the table during the reciprocation of work and cutter. The degree of crown is readily changed by this method. The other approach is plunge feeding, which requires dressing the shaving cutter to the desired crown. Generally, it is faster to plunge feed, but the technique can subject the cutter to greater wear. Of course, it is more difficult to change the crown, provided you start with good quality gears. Shaving improves the quality of profile and reduces error in the gear tooth through the cutting and burnishing action of the cutters. The crown form can be produced on gear teeth in several other ways. One method is to shape the gear by use of a crown cam in the shaper back-off mechanism. The proper radius of the gear is calculated by using the amount of crown on the flank and the pressure angle of the gear. Unfortunately, the blocks, while not complex, tend to be expensive. 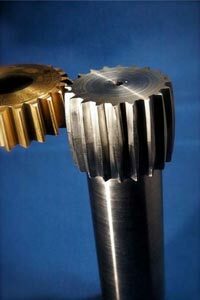 The advent of the latest generation of gear equipment has made two methods of crowning while hobbing popular. Both methods produce crowns by increasing and decreasing the center distance of cutter to workpiece. The first method utilizes physical copying of a template by a hydrocopying or mechanical following device. 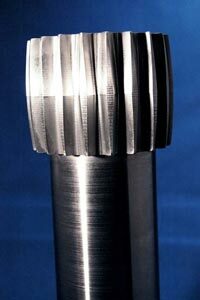 This allows taper hobbing or even the creation of sinusoidal wave forms, if desired. 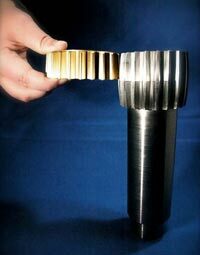 More recently, the second method, CNC hobbing, has become commonplace. Depending on software limitations, CNC allows cutting gears in almost any desired form. A disadvantage to this approach is the high cost of the equipment, though the payback has decreased considerably in recent years. New CNC shapers can cut a crown gear or spline without the need for buying a special crowning cam. On our company’s Gleason Pfauter P 300 ES, for example, we can crown by cutting a slight right- and left-hand helix angle along the face width of the part. This leaves the root diameter straight. We also have a Bourn & Koch Fellows MS 450 with a U-axis for controlling the back-off. It can be programmed to move the cutter spindle in and out during the stroking cycle to crown the tooth by cutting deeper at the ends of the face width and more shallow at the high point of the crown. Who is using this gear cutting technology today? Users of heavily loaded gears have been using crowning for quite some time. Another area ripe for the use of crowning is in the manufacturing of hydraulic wobble motors. Here, the application is strictly for misalignment problems rather than for noise reduction. An allied area involves heavily loaded pinions used in actuators for aircraft control surfaces. Generally speaking, it is more advantageous to crown the pinion because it makes more revolutions per minute and may generate more noise. In this case, it is of paramount importance to compensate for load deflection. Unfortunately, few companies in the United States have been applying this technology to commercial fine-pitch gearing. However, the few manufacturers who have tried it are most pleased with the results. Some users have reported a five to 10 times reduction in noise, accompanied by less vibration, wear and power draw. Prime candidates for use of the crowning technique are small fractional horsepower motor manufacturers or anyone dealing with spur or helical pinions that are susceptible to noise or misalignment. Because crowning on foreign gear hobbing equipment has been available for a greater length of time, this method has been developed to a greater extent in Europe. American manufacturers would be wise to take advantage of the availability of this kind of technology. Exploration of crowning as a solution to noise and misalignment problems can produce a real competitive advantage for gear manufacturers and users alike.